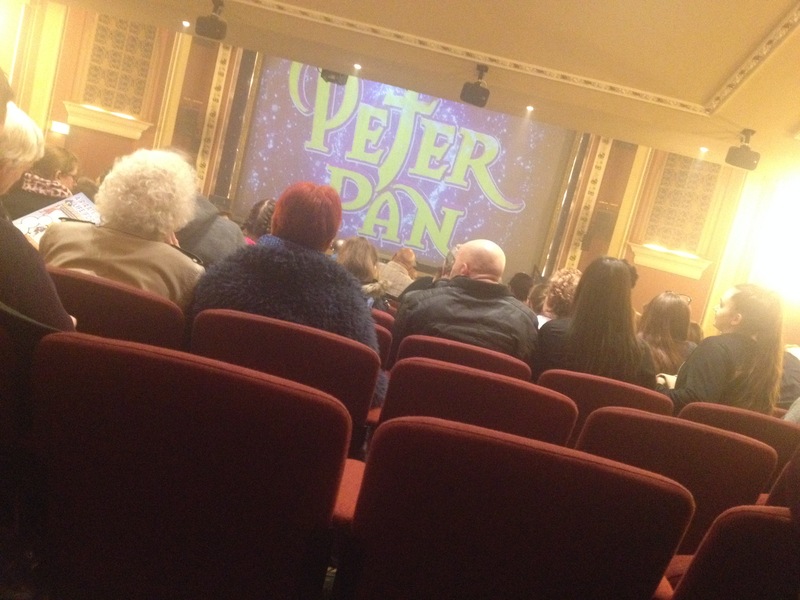 Last night the whole family, joined by my parents, went to watch a pantomime. I normally choose to go to the Nottingham Theatre Royal panto but this year we opted to go to the local Mansfield Palace Theatre “Peter Pan” pantomime instead. 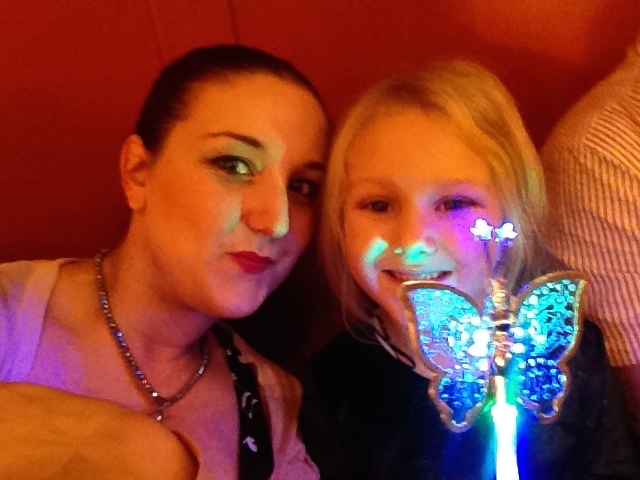 It was Mini Mess’ first panto and she loves Peter Pan so it seemed like the ideal choice. The lead-up to the pantomime was not without a little drama of its own. To begin with, I got the date of the initial booking wrong and we missed the show! I had to rush to re-buy tickets for 6 people and could only get them right at the very back of the theatre. Then, very soon after arriving at the theatre, Mini Mess managed to lock herself in a toilet stall and refused to open the door. Cue much shouting and panicking until I finally managed to cajole her out! Thankfully we all managed to be in our seats, sweets and flashy things in hand (much to Mr Mess’ dismay) before the curtain went up. 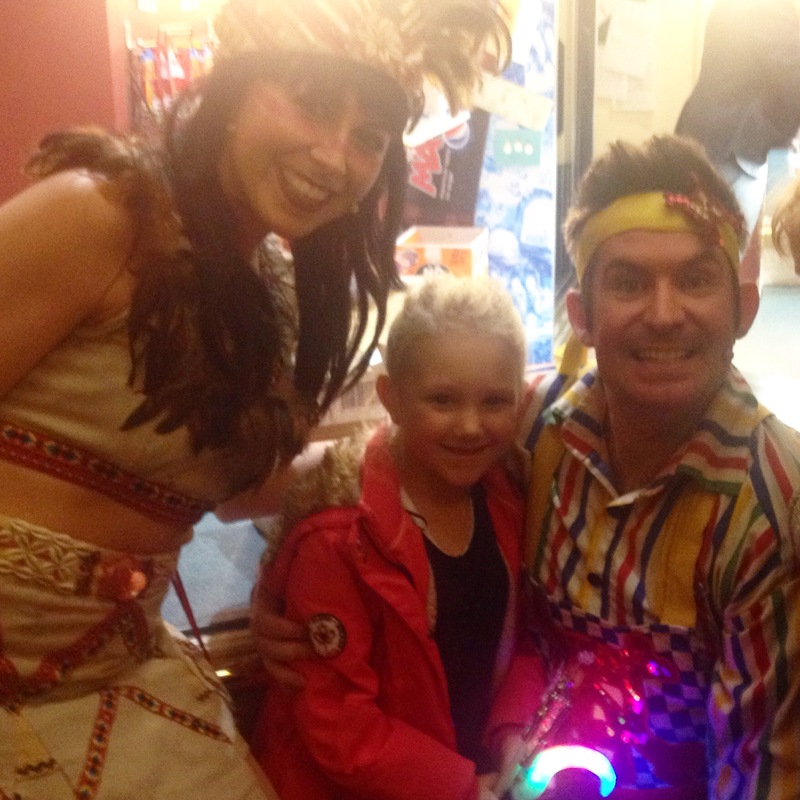 Holly Atterton was an absolute delight as the mischievous fairy, Tinkerbell. She was sulky and sparkly and I was thoroughly enchanted. Added kudos has to go for performing the whole show on roller-skates, which cannot be an easy undertaking at any time. No good pantomime is complete without its villain and Marc Baylis gave a star-turn as Pan’s nemesis, Captain James Hook. He managed to be villainous and silly at the same time, giving some of the best comedy moments of the night. Speaking of comedy, Adam Moss was brilliant as Mr Smee. He fired one-liners off in record time. He even made my Dad laugh, which is a feat in itself. He was clearly a consummate performer who was used to commanding a stage. The roles of Wendy and Mrs Darling were played by Rosie Needham and Hayley-Jo Whitney respectively. Both gave lovely performances – I particularly loved Whitney’s rendition of Hushabye Mountain which was incredibly gentle and moving. Lauren Siddall stepped in seamlessly to play Tigerlily at the last moment and if they hadn’t made a thing of it, I really wouldn’t have noticed. She gave a thoroughly confident performance. The score featured a good mix of well known and original music (at least, I’m assuming it was original. I’d certainly never heard it before.) I particularly enjoyed the repurposing of the opening song from The Addams Family into “When you’re a Mermaid”. I wasn’t so keen on the use of Jai-ho for the Indians (and yes, I know that isn’t the correct term but we are working with JM Barrie’s source material here). Considering the fact that the stereotypical depiction of Western-style indians is a delicate issue at the best of times, I did feel that this was an unfortunate choice of song. I thought the set design and staging was incredibly clever as we were transported from London town, to the Neverland Jungle, a mermaid lagoon and the Jolly Roger. The scene were Pan and the children were flying over London was a stroke of genius and truly magical. At the end of the show, Miss Mess was invited to go up and stage and dance with Mr Smee. She was incredibly confident and spoke clearly, gave fabulous answers and danced her socks off. I was so proud of her. I tweeted Adam Moss afterwards and he said she was a lovely, polite little girl. I’m pretty sure this was an experience that it will be hard to beat for Miss Mess. Overall, it was a fabulous example of a classic family pantomime. Sometimes in the larger pantos, you find they exchange celebrity and gimmicks for plot and tradition. The truth it, an audience wants good jokes, maybe with a little innuendo, a classic story about good conquering evil and some catchy musical numbers. The Peter Pan production offered all of these in spades. Tickets also came in considerably cheaper than the larger city theatres so I would definitely recommend this to any family. I’ll certainly be looking at booking again for next year. I’m converted! This entry was posted in Theatre Reviews and tagged mansfield, marc baylis, palace theatre, panto, peter pan, theatre review. ← Blogmas Day 17 – 24 | What is the perfect Christmas?